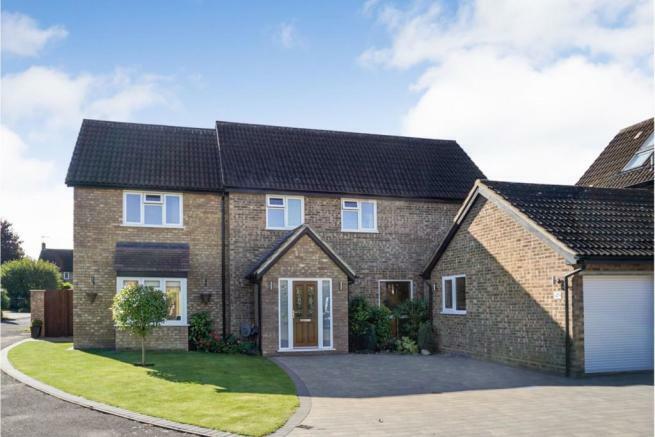 A stunning five bedroom detached family home, situated within a quiet cul-de-sac location in this sought after village location. 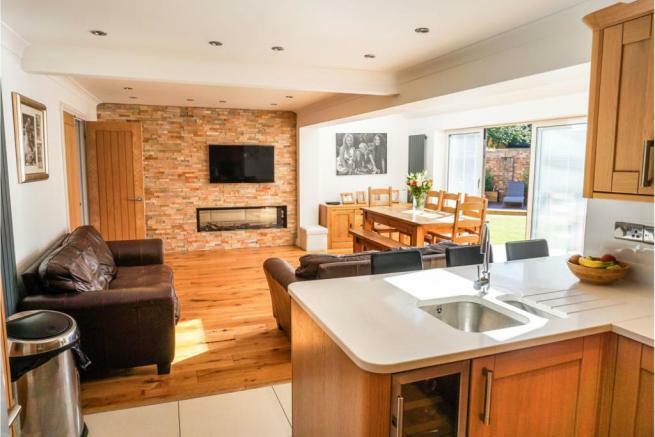 The property has been lovingly developed over the last few years by the present owners and certainly has the "WOW" factor, with it's beautiful open plan Kitchen/Dining and Family room, perfect for entertaining and general contemporary family living. A fabulous property, that needs to be seen to be appreciated. With glazed entrance door, wing windows, wooden flooring, staircase to first floor, understairs recess, understairs cupboard, three radiators, picture window to front, door to outside. Fitted with WC, wash hand basin, frosted window to side, radiator. Box bay window to front, French doors leading into the rear garden, two radiators, Feature "M Design Luna Diamond" double sided log effect gas fire, transparent to Kitchen/Dining Room. 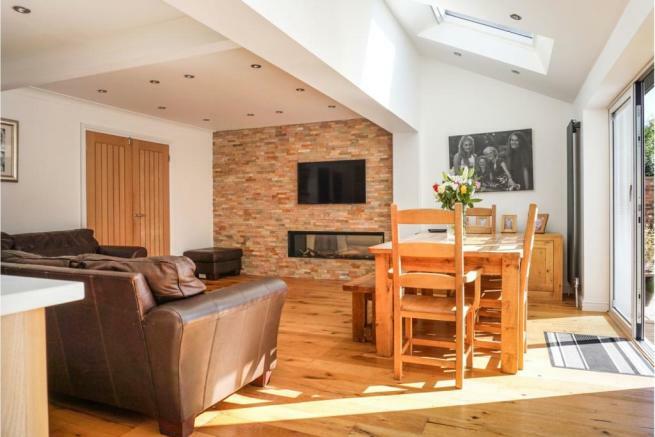 A wonderful room, which is multi purpose and is a fabulous social space, with part vaulted ceiling with skylight windows, bifold doors opening out into the rear garden, solid wood flooring, "M-design Luna Fireplace". The kitchen has a quality contemporary range of units at eye and base levels, with granite style working surfaces, inset one and a half bowel stainless steel sink unit, integrated electric double oven, induction hob and extractor hood over, integrated dishwasher, space for American style fridge/freezer, drinks fridge, tiled flooring and electric underfloor heating, and tiled splashbacks, breakfast bar and door to Utility Room. 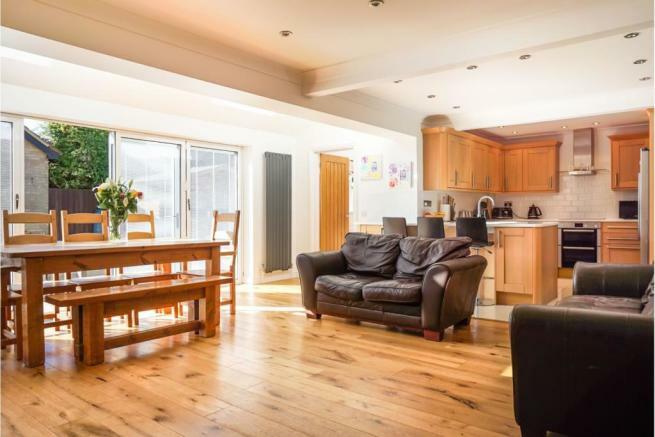 with vaulted ceiling and skylight window, eye and base level units, granite style working surfaces, one and a half bowel stainless steel single drainer sink unit, cupboard under, plumbing for washing machine, radiator, tiled floor, window to rear, door to outside. Large galleried landing, with balustrade to stairwell, two windows to front, radiator, hatch to loft space. Window to rear, range of Sharps fitted wardrobes, radiator, door to ensuite shower room. Fitted with WC with concealed cistern, wash hand basin set into vanity unit, large tiled double shower enclosure, with rainfall shower, heated towel rail, frosted window to side. Window to rear, radiator, built in double and single wardrobe. Window to rear, built in double and single wardrobe, radiator. 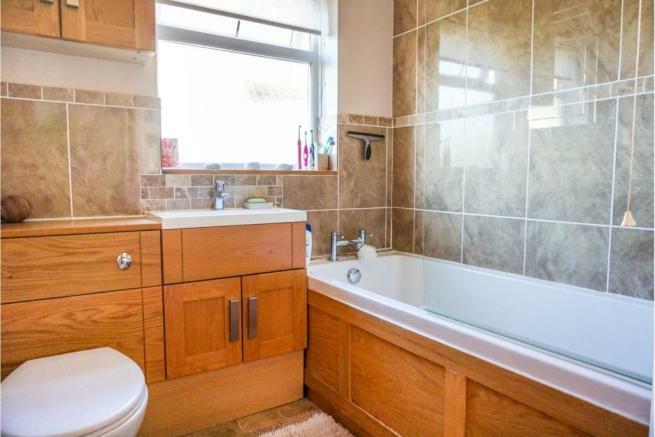 Fitted with WC with concealed cistern, wash hand basin set in vanity unit, panelled bath with separate shower over, part tiled walls, heated towel rail, frosted window to side. 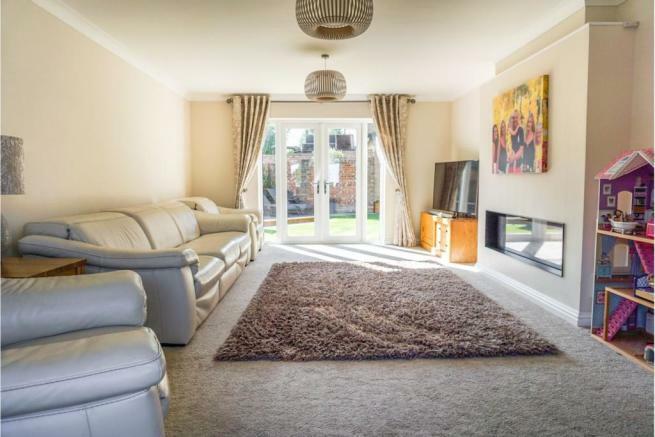 The property is situated on a good sized corner plot, and is open plan and laid to lawn. There is a large block paved driveway providing off road parking for several vehicles. There is gated access leading to the rear garden. 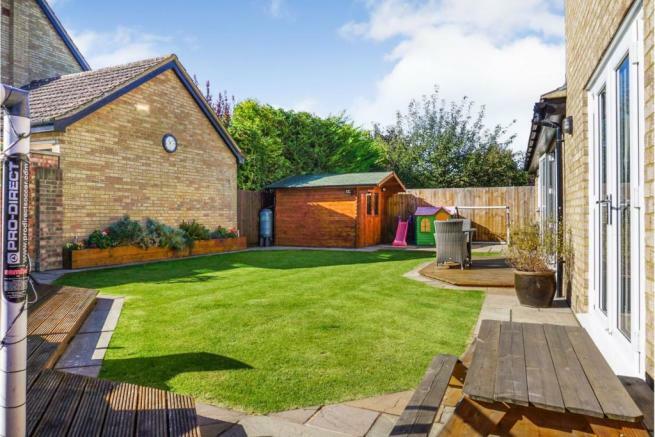 Located at the front of what was the original garage, with roll up door and loft access to the whole of the playroom loft area. 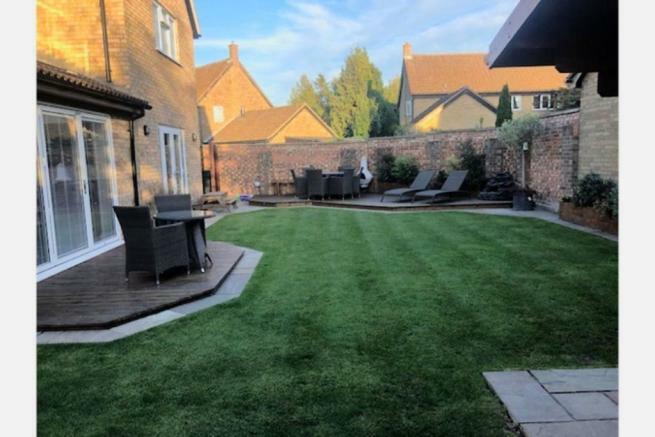 The south facing rear garden is a lovely, sheltered area, with decking stepping down onto an immaculate lawn, further decking to the left hand side with seating area, large summer house, the garden is private and enclosed by a walled boundary. Disclaimer - Property reference 593475-1. The information displayed about this property comprises a property advertisement. Rightmove.co.uk makes no warranty as to the accuracy or completeness of the advertisement or any linked or associated information, and Rightmove has no control over the content. This property advertisement does not constitute property particulars. 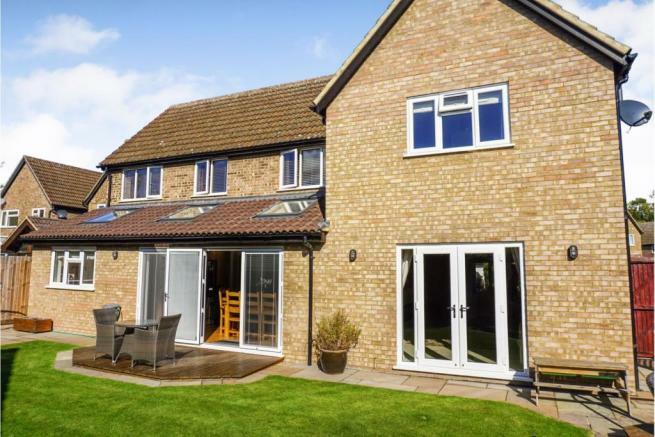 The information is provided and maintained by Purplebricks, covering Anglia. Please contact the selling agent or developer directly to obtain any information which may be available under the terms of The Energy Performance of Buildings (Certificates and Inspections) (England and Wales) Regulations 2007 or the Home Report if in relation to a residential property in Scotland.